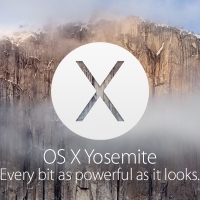 Earlier today, Apple released iOS 8.1 which introduced number of new features to iOS and Yosemite. One of the anticipated features was SMS Text Message Forwarding, which allows SMS messages received by your iPhone to be mirrored on your iPad or Mac running OS X Yosemite. Several of our forum members had difficulty activating the feature, as the required activation code would never appear on their Macs or iPads. 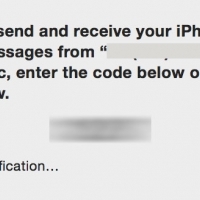 MacRumors reader Michael wrote in with this solution which requires an email address to be activated in iMessage:...you need to have your email address turned on for iMessage on your iPhone in order to enable Text Message Forwarding. 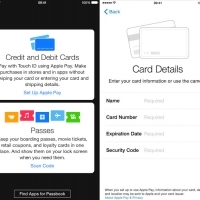 If you don't, the numeric access code will not appear on your iPad or Mac during the setup process. 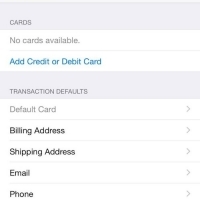 As soon as you enable your email address for iMessage (you only need to do this on your iPhone) the numeric access codes appear as expected. Once you have text message forwarding setup you can disable your email address again in iMessage as it seems to only be necessary for the numeric access code setup step, not the actual text message forwarding itself.MacRumors was able to verify this scenario and found that an email address does indeed have to be active on your iPhone for the activation message to properly be sent. In our testing, SMS messages were still received after the email address was removed from iMessage. The setting to add your email address to iMessage is under Settings -> Messages -> Send & Receive. 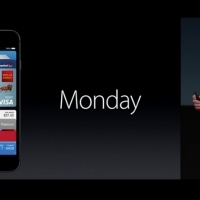 Note, you may have to wait a few moments after adding an email address before the activation code will send. During yesterday's iPad-centric media event, Apple executives announced that the first major update to iOS 8, iOS 8.1, would be released to the public on Monday, October 20. 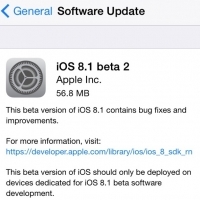 First seeded to developers at the end of September, iOS 8.1 promises to bring a quite a few significant features to the operating system, offering new services and finally allowing Yosemite users to access the full functionality of Continuity. While some major Continuity features like Handoff and Phone calls on the Mac are working for users who have both an iOS 8 device and a Mac running OS X Yosemite, other features, like SMS relay and Instant Hotspot will not be available until Monday, when iOS 8.1 is released. With SMS relay, both Macs (running Yosemite) and iOS devices like iPads are able to receive SMS messages that have been routed through a user's iPhone. 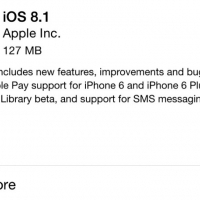 Currently, while iPads and Macs can receive iMessages, SMS messages are limited to iPhones. When SMS relay is functional, an SMS message that has been received will be forwarded to iPads and Macs, and users will be able to answer all of their messages on any device. 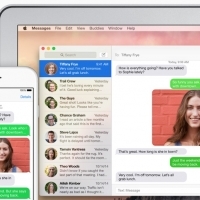 It's also possible to start SMS-based conversations directly on a Mac or iPad. Instant Hotspot is another facet of Continuity that will be enabled with iOS 8.1. This feature lets a Mac remotely activate the Personal Hotspot capabilities of an iPhone when the two devices are near each other. The Mac can automatically detect an iPhone with Hotspot and users can connect to a Hotspot via the Mac's Wi-Fi menu without needing to remove the iPhone from their pocket. Today at its media event in Cupertino, Apple SVP of software engineering Craig Federighi announced that Camera Roll would be returning to the Photos app in iOS 8.1. 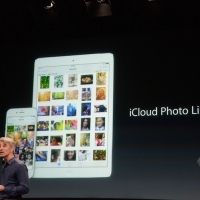 Apple had removed Camera Roll with iOS 8. 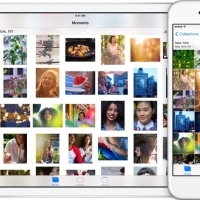 Photo courtesy of The Verge The Photos app in iOS 8 splits a users' photos between three sections: Photos, which organizes photos into years, collections and moments, iCloud Photo Sharing and Albums, which contains an alternative to Camera Roll in a "Recently Added" album that organizes photos by date. 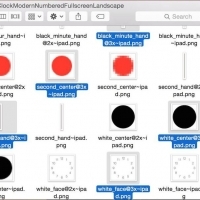 Camera Roll allowed users to have easy access to their recently added photos without having to go into a photo within a section of the Photos app, which caused many users to be upset by the loss of the feature. 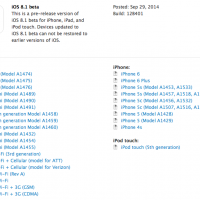 iOS 8.1 will be released on Monday, October 20.